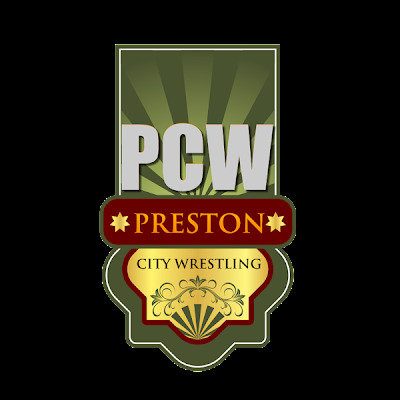 After a long journey all the way from Aberystwyth, I arrived in sunny Preston ahead of a stacked card of professional wrestling from Preston City Wrestling. With a number of international stars on the card, as well as some of the biggest names on the British wrestling scene, could PCW Final Fight live up to the hype? All the advertised international talents were involved in this, with the exception of PWG's Brian Cage, who apparently missed his flight and wouldn't be involved on the show. Ultimo Dragon was late arriving, and early leaving, with his translator staying to flog some of his merchandise, which was a bit of a shame, especially as it meant most people had to start queuing again for Dragon. Everyone else however was very easy to talk to, even when the line was being pushed along by various PCW staff. After a signed photo from each talent, as well as Davey Richards and Michael Elgin signing copies of ROH All Star Extravaganza and Manhatten Mayhem, as well as a chat about LuFisto's hatred for WWE wrestler The Miz, it was a very enjoyable experience and great to get to meet talent that I've been watching for years. It was a shame, however, that only one photographer was on hand to take photos, and with him looking so busy with other people, I decided not to bother him and went without any pictures. We were straight out of the gates with our opening contest, as El Ligero and Martin Kirby were first out for their bout with Dean Allmark and the well-travelled veteran Ultimo Dragon, who is most often seen wrestling for Michonoku Pro Wrestling these days. With the crowd nicely split between the two teams, there was some nice action on display here, with the bout keep a quick pace throughout, which really got the crowd warmed up nicely. The build up to a flurry of action from Dragon was exciting and the best action that Dragon offered in the bout, with on occasion there seeming to be a miscommunication between Dragon and his opponents, which did end up hurting the bout in the closing stages. Allmark and Dragon went on to pick up the victory, with Dragon getting the pin on Kirby, in what felt like a slightly flat finish. Overall, I was a little disappointed by this bout, as despite some good exchanges involving Allmark, Ligero and Kirby, the highly anticipated confrontation between Ligero and Dragon ended up falling short of expectations. Before the match started LuFisto was out to talk trash about her opponent for the night and listing a number of her own achievements, as well as introducing her manager, a doll called Pegaboo. Cruiserweight Champion April Davids came out to confront LuFisto, with the words “You're full of shite, you are”, to a nice pop for the crowd and the bout was under way. I found this to be an enjoyable bout, with both women bringing a hard hitting style and intensity, that mainstream women's wrestling lacks. LuFisto did a great job of working the crowd and managed to get some quite considerable heat, which is commendable considering the pop she got when entering the club. This wasn't a pretty contest, far from it, with both LuFisto and Davids bringing everything they had in an all out brawl of a bout. Even usually technical moves like German Suplexes were given an extra edge, being delivered with a viciousness that would eventually lead to Davids picking up the victory. If you were expecting a catch as catch can classic, you would have come away disappointed. A handshake between the two made sure that there were no hard feelings between the two, but it'd be great to see the two go at it again under No Disqualification rules. This was originally scheduled to be Davey Richards taking on Dave Mastiff, but with Mastiff suffering an injured hand, Robbie Dynamite, most regularly seen at All Star Wrestling, was drafted in to make his PCW debut. Admittedly, this one was very different from what many had expected from a Richards vs. Mastiff contest, but was still an enjoyable encounter. Richards spent a lot of the match in control, with the crowd lapping it up, as Richards lead the crowd through a series of his signatures moves and holds. At times the two struggled to click with the dynamic never really becoming clear, but there some nice sequences and the fans adoration for Richards meant that it didn't really matter. The finish was certainly the strongest section of the match, with Dynamite spending a long time in the Ankle Lock before eventually tapping out to give Richards the submission victory. It makes sense to give Richards the W here, with his match against Dave Mastiff now re-scheduled for October 31st's Fright Night. During the intermission, apparently the ring broke! I'm not quite sure what happened, maybe it was Hope and Manson foxtrotting a little to hard, but they spent a good time putting the ring back together. Both Manson and T-Bone were out to fix the ring, alongside the PCW crew. Whilst some fans might have been disappointed and not being able to get their photo op with Manson and Hope during intermission, there can't have been many who would have put that over the rest of the show continuing. A quick cheer for the crew, specifically, Mad Man Manson and the show was back on the road. This had been advertised as simply Lionheart's Championship Address, although pretty much everyone in attendance wasn't expecting it to go without incident, this is pro wrestling after all and with Doug Williams and Noam Dar both sending out interesting tweets in the lead up to the show, it was almost certain that we'd some form of shenanigans here. True to form several seconds into Lionheart's “Championship Address” speech, amidst chants of “You Screwed Doug”, Noam Dar made his presence known coming out stake his claim to the PCW Championship, saying that if it wasn't for Dar's injury Lionheart wouldn't have been able to cash in on Doug Williams at Too Good To Be Two. Williams was quick to come out to reply to Dar, reminding him that he was still not medically cleared to wrestle, before announcing he wanted his rematch with Lionheart for the title tonight. After some back and forth with PCW Owner Steve Fludder, Lionheart vs. Doug Williams was booked, with Dar being forced to go to the back. I thought this segment was really strong and made the PCW Championship feel like something that was worth fighting for, due to the passion that each guy brought to their promo. The Williams/Lionheart title match was a lot more story based than it was on the actual wrestling, therefore it wasn't your typical Doug Williams encounter. It was easy to get into because of the England/Scotland divide in the crowd, but until the closing stages it felt a bit like Williams and Lionheart were going through the motions at times. Once, the finish began to come into sight though things did begin to heat up, with some good storyline advancement seeing Noam Dar stopping Williams from hitting Lionheart with the title belt, and causing the eventual distraction that allowed Lionheart to pick up a victory with Frog Splash. It was a decent bout, but felt more like a building block for things to come, which made it difficult to really get my teeth into. With Davey Richards stepping for Elgin's original partner Brian Cage, this bout was about to steal the show. For me, this match stole the show with a great mixture of technical wrestling, comedy, crowd interaction and shenanigans that kept the crowd hooked from bell to bell. Numerous spots were thrown into the mix, with Elgin's usual delayed vertical suplex being attempted by every man (except Richards who gave up and went for a submission instead) as well as an impressive sequence that saw Richards manage to lock both T-Bone and Brown in the ankle lock. The finish saw fellow Team Single member Bubblegum enter the fray, during a series of near falls, and manage to clatter Elgin with the PCW Tag Title belt, allowing for a roll up victory for Team Single. A classic finish that generate a solid amount of heat that would build into the next contest. This match get's Match of the Night from me. With Bubblegum having a few words to say about his opponent prior to the start of the bout, garnering some great heat from the PCW faithful, it was clear who the fan favourite was in this one, former WWE and TNA wrestler Elijah Burke or D'Angelo Dinero, going simply by The Pope this time round. In all honesty this bout was more style than substance, but that didn't stop it from being a lot of fun to watch, with old school distraction tactics from Team Single building up nicely to Michael Elgin and Davey Richards coming out to make the save for Pope, leading to Pope picking up the victory with the Elijah Express. The crowd made this bout for me, it was an entertaining bout but didn't really have that spark that could've made it anything specicial. It was then time for the raffle! Everyone loves a raffle! With Cruiserweight Champion April Davids on hand to help out Ring Announcer Joanna Rose, those with tickets waited to see if they had won a prize, those without decided to top up their glasses at the bar. But this wasn't any raffle, with Davids makings the draw for second prize, Dave Rayne made a surprise appearance attacking Davids with a broom. Rayne went on to challenge Davids to a “Fans Bring the Household Objects” match on October 31st at Fright Night with the Cruiserweight Championship on the line. I thought this was clever way to liven up a tired idea of a raffle and those that weren't at the bar loved every second. It would've been nice to LuFisto come back out to make the save, although it was right to keep the focus on the PCW regulars here. This probably wouldn't have been most people's first choice as a main event, but Travis and Hayes pulled it off very well. There was a lot for everyone to enjoy in this one, but a brawl around the club, that I'm sure will look fantastic on the Blu Ray and looked great if you happened to be over that side of the club, but from where I was sitting you couldn't really see anything, which isn't what you expect when paying for a front row ticket. The rest of the bout chucked a bucket load of main event cliches into the mix, with the referee getting knocked down and some back and forth with Travis' Money in the Bank briefcase, which built up nicely to the referee waking up to stop Travis hitting Hayes with the briefcase, allowing Hayes to hit a low blow, followed by a Roll Up for great false finish. It was Hayes' Crossface that would eventually get the submission victory, rounding off a strong contest between two top talents that deserved to be main event, setting up nicely to a Ladder match between the two on October 31st. Overall, I thought Final Fight was an entertaining evening of wrestling, with a good mixture of British and Imported talent that allowed newer viewers of PCW, like myself, an easy way into the current storylines that the promotion is running. I enjoyed the more adult atmosphere the promotion has, which allows them to play around with the face and heel dynamic a lot and not insult the intelligence of it's audience. Whilst the wrestling wasn't always fantastic, the storyline based action and crowd involvement made this show easy to enjoy. 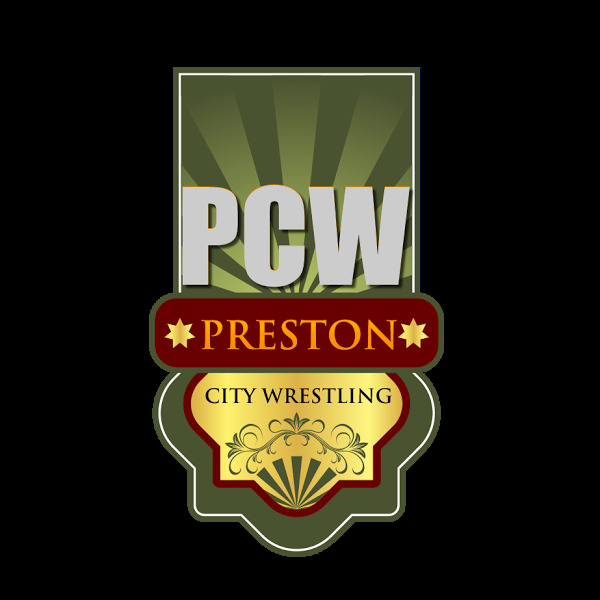 I'll hopefully be able to catch another PCW show sometime next year.